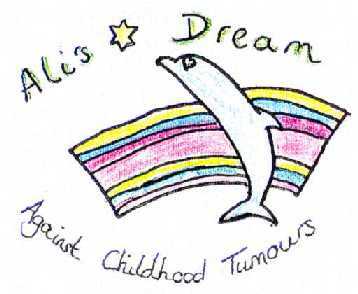 Ali's Dream charity was set up by Alison Phelan's family and friends to raise funds for research into discovering the causes, advancing treatments and finding a cure for childhood brain tumours. Sadly this was spurred on by the loss of Alison at the beginning of June 2001, three weeks before her eighth birthday. Ali was diagnosed with a brain tumour in August 2000. Her family did not give up hope, exploring many avenues to find their miracle cure. They discovered that there is very little research being undertaken in this particular cancer area. The chances of finding a cure in the next five years are very remote. What's more, after accidents, brain tumours are now the biggest cancer killer of children under fifteen. Ali's Dream needs your help in the fight against childhood brain tumors by way of donation. If you would like to help us in this fight, please click on the button below and donate using Just Giving. It only takes a minute and will help us more than you can imagine in our battle against this dreadful illness. Everyone working for Ali's Dream is voluntary, therefore every penny donated goes directly towards research into finding a cure.